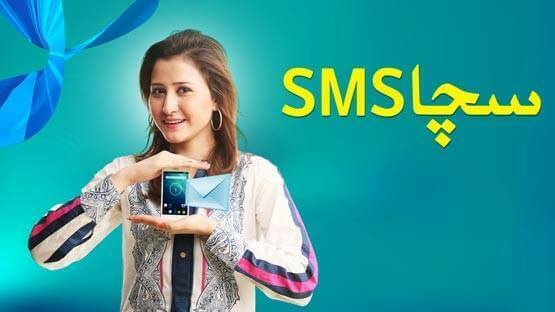 Telenor introduces mind-blowing service for its valued subscribers of Pakistan with the name of Telenor Sacha SMS service. This is phenomenal service has launched from this network side and it provides complete details of usage of package and balance through this service. This service is available for Talkshawk subscribers right-now but in future we can also expect this service for Djuice users of this network. Telenor always brings packages and services with exceptional incentives and this is fantastic service has generated from this network side for its valued consumers. This service is available all across in Pakistan and cellular operators who are connected with this network can easily use this service in free of charge. Yes this is correct there are no charges for using this facility and customers can get daily balance and packages details in free of cost after activation this feature. This is one of remarkable service has produced from this telecommunication and many cellular operators are appreciating this service of Telenor network. There are many cellular operators available in Pakistan who really wants for getting details of its balance and packages incentives on regular routine and now they can easily get all these information by using this feature in free of cost. This service is available all over in Pakistan and all the cellular operators who are using prepaid Telenor Talkshawk connection can avail this service with correctly. It provides packages details, balance details, other internet bundles details on daily routine till month and after a month subscribers need to re-activate this service for availing this facility. The details of subscription process and other information are mentioned as below. Subscribers can activate this service by dialing *1122# and then press call button. Customers get confirmation message after activation this feature. All the Talkshawk subscribers who are using Telenor Talkshawk Economy Package will get complete details of balance and incentives on daily basis at 10:00 AM (Morning). Subscribers who are using other Talkshawk Packages can get details of balance and tariffs on daily mid-night time 12:00 AM by dialing *1234#and then press call button. The charges for using this service are FREE of cost. This service is only available for Prepaid Talkshawk Connection Users. This telecommunication keeps rights for de-activate this feature at any time without being informed of its daily users. Customers will receive daily balance, bundles and packages details on same time. You may also like it:Telenor SMS packages.